As my family prepares to celebrate Thanksgiving, I wanted to share this with you. Hope you are enjoying the holiday weekend. My car is attracted to curbs. I swear. Somehow it has hit two this week, one in front of the frozen yogurt shop. Oops. Staying on the car theme...have you ever seen anyone driving around with their coffee mug on top of the car or their purse on the trunk? Did you laugh? That was me this week. I set my cup of water on the roof so I could open the door without spilling my coffee. I pulled out of the parking lot and drove about 100 yards before hearing something hit the car. I drove another 100 yards before I realized what it was. C'mon Man!! Oh well, hopefully I made someone chuckle. 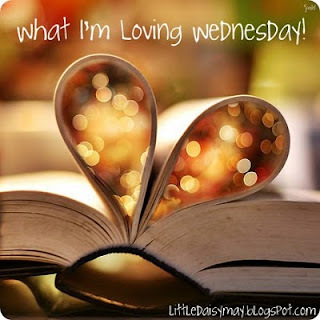 What is it with bloggers writing awesome posts lately? From laugh-out-loud funny ones, like Jent's story about her boy with no pants and HIMYF's engagement ring shopping escapades, to posts that made me stop and think, like Leah's post that asks if we are all fat, uppity Americans. C'mon Man!! I wish I could write posts like these. And finally...I just found out that there will no more new iCarly shows. No more Random Dancing. No more Spencer setting their apartment on fire. C'mon Man!! Wait a minute...what did you say? No, I am not a 12-year-old girl, but I love me some iCarly. As I sit listening to the rain (at least I hope it's still rain and not sleet or snow) on my window, I've decided to adopt this as my philosophy today. On another note, congrats to Laura F. who is the winner of the Tiny Prints Giveaway! 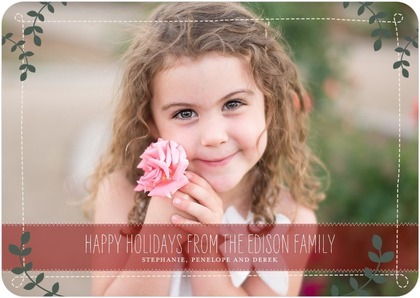 Hope you have fun creating fun holiday photo cards or other fun photo gifts! I confess I am not a regular at my church each Sunday. Over the last year I have found myself going each Sunday for a month and then not going for the next two. I'm not sure why I have slipped into this pattern. My parents took my sisters and me to church every Sunday. I went to church during college (maybe not EVERY Sunday). When I moved away from home after school, I immediately found a church in my new town. I feel better when I start my week off going to Mass. I suffer the crushing guilt most Catholics do when I do skip just because I can't seem to get myself out of bed on a Sunday morning. However, I just haven't been able to find the motivation (or maybe inspiration) to get back in the pew regularly. That was until this weekend. I went to Saturday evening Mass before a fundraiser at the church for my nephews' school. As I was sitting there with my hymnal in hand, the cantor announced that the board listing the numbers for the songs we would sing was wrong. Instead of a hymn that I had never heard before, we were going to sing my all-time favorite hymn EVER. The one that I continue to sing to myself for days after it's sung at church. The one that I can sing because it doesn't have a lot of high notes. The one that I think has a beautiful message, especially the chorus. It gives me goosebumps every time. The one that inspires me to work at my faith more actively and go to church each weekend. Which one is it? It's title is Here I am Lord. Have you heard it? If not, I have included the lyrics below. If you want to hear it, just search for it on iTunes (or YouTube) for many different versions. I have heard my people cry. Here I am, Lord. Is it I, Lord? I have borne my people's pain. I will tend the poor and lame. I will set a feast for them. As I was going through my photos from my recent trip to New York City, I realized that with the exception of shots of my nephew throughout the city I took a LOT of photos of the foods we sampled. Before I share some more of my favorite bites, I want to say that my heart goes out to those affected by Superstorm Sandy in NYC and beyond. We were lucky to visit just before the storm hit (flying out late the Sunday before Sandy arrived) and we watched in horror as some of the places we visited took some hard hits. As life slowly returns to normal for those hit hardest by the storm, we need to remember that there are still many without power or worse without a home. Here's a link to an ABC News piece that has ways you can help Hurricane Sandy victims. Each afternoon, my nephew would get a little surly. Too many photos to pose for. Too much mom and aunt time. How did we improve his mood...Chocolate in any form. Pastries, hot chocolate, and, of course, cookies. Last year when we had our girls weekend in NYC (during the infamous Snowtober storm), we had the best of intentions of going to cool restaurants at night. However, after walking miles in the cold, wet weather, we didn't keep any of our reservations. This year we did better, including an early dinner at Schiller's Liquor Bar (it IS family friendly, I promise). The best part? Since we ate so early, my sister and I took advantage of the Happy Hour specials and sampled their sliders and fries...yum! Their selection of NY beer was most excellent. While Starbucks is a daily stop when I'm at home, in NYC my sister has a rule of not eating anywhere we can at home so we sought out local bakeries and coffee shops for breakfast. I actually found the recipe online here and it's from the Amy's Bread cookbook, which is the bakery we stopped at. I may have to try this for Christmas breakfast. We also hit up a couple of places tied to celebrity chefs, including Mario Batali's Otto Pizzeria, and Tom Colicchio's 'wichcraft in Rockefellar Center. We had so much other great food but I was too busy eating to take photos. I highly recommend the cookies from Levain Bakery...they are huge and gooey and heavenly! And if you are on the Upper Westside and craving a quick bite, check out Gray's Papaya and their hot dogs (2 hot dogs and a juice for less than $5). They are a great on-the-go snack. We have decided to make our NYC trip an annual outing so if you have other suggestions of good places to grab a bite, please share. Side Note: Until I uploaded the last photo, I thought the name of the restaurant was Witchcraft...I am very smart, I swear. Don't you think the above photo (sans the photographer) would make a cute Christmas card? We finally have the CD of our family photos we had taken a few weeks ago and now we are trying to figure out which ones to frame, which ones to put into a photo book and which ones to use for family Christmas cards! Now, I am not planning to sending out photo holiday cards...not sure anything screams "I'm a single lady in my 30s" than a photo card featuring me, myself and I! However, my mom really wants to send out a Christmas letter featuring photos of the family, especially her half dozen cute grandchildren. Instead of a letter printed out on her trusty (and not so crisp) printer, I am trying to convince her to use Tiny Prints to create her Christmas Photo Cards. 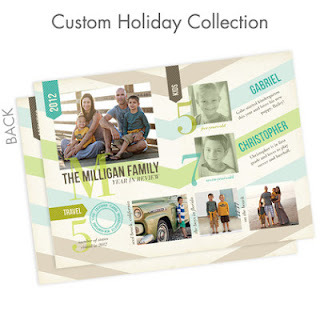 They have some great options in their 2012 Holiday Collection, including many styles featuring their new Premium DoubleThick™ Matte Paper. Check out this short video about the new paper. As I was checking out their website, I picked out a few options for my mom AND my three sisters, who all have gorgeous families to show off on their Christmas cards. I chose this great tri-fold card for Mom so she could feature a variety of photos of the family. She can choose between a matte or semi-gloss finish at no charge or for a bit more she can upgrade to a pearl white shimmer finish (fancy, fancy). The best part of choosing this card? No need for a lengthy letter, the photos can tell the story! I love the colors of this card and it would go very nicely with the colors of our family photos. She has three boys so she can feature a photo of each of them and one of the entire family (or their dog Zoe). It's a bit less than the fancier square cards but just as attractive! If you are on a budget (aren't we all? ), be sure to check out their Special Offers page. She has two cuties so she can single each of them out and give a quick update on what they are up to and also feature a few other of the great family shots taken at the family photo shoot. She has an only child so I think she needs to take advantage of that and feature JJ and her big blue eyes, gorgeous blond curls and impish smile front and center on her card. I had such fun picking out cards for my mom and my sisters. 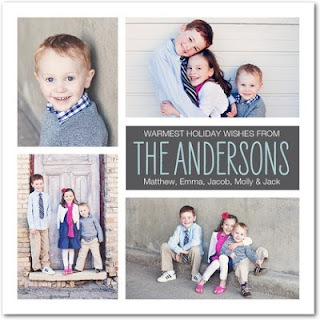 Hopefully they will read this post and be inspired to create their own fun Christmas photo cards!! Now for you, my dear readers, Tiny Prints would like for you to create your own cards and to get you started they are giving away $50 off your total order (expires 12/14/12)!! Just enter by clicking on the Rafflecopter widget below (it's within this blog post). Contest runs through November 11 and I'll post announce the winner here on November 12. BTW...Tiny Prints did sponsor this post/giveaway but the opinions (and choices of cards above) are my own like always! My sister, oldest nephew and I visited New York City recently (more about our trip soon). We took in Times Square our first night there...can you find us on the large screen that captures live video of visitors? Here's a hint...we may be circled below and I may or may not have a camera in front of my face! As much as Times Square is so iconic to NYC, it's one of my sister's and my least favorite places there. Way too many people in way too small of a space...if I wanted to be shoulder to shoulder with a bunch of strangers, I'd head to the subway! Way too easy to get turned around...my sister and I both had problems navigating within Times Square. I had trouble navigating the streets of NYC period but my sister was a wizard with the map and always got us to where we wanted to go, except in Times Square! Can't wait to share more about our trip...stay tuned!